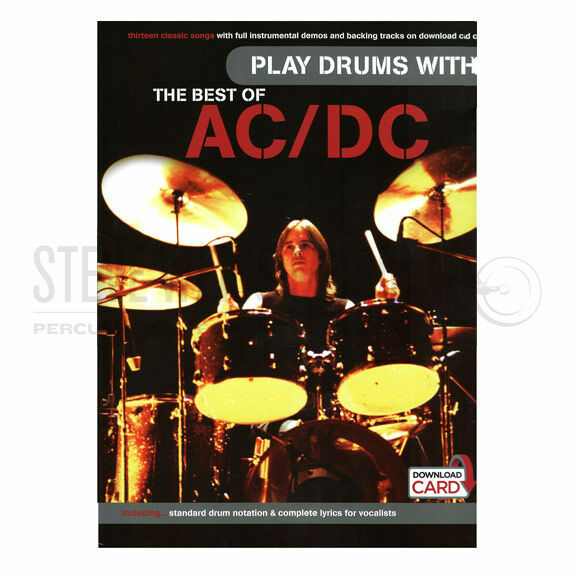 The Best of AC/DC play-along set includes a music book with the drum score to 13 of AC/DC's best hits and online audio access recordings which allow you to play along with full "soundalike" backing tracks. The book features authentic arrangements of songs such as "Back in Black" and "You Shook Me All Night Long" with lyrics and the melody line in standard notation. In addition to backing tracks to all the songs, the online files also feature full performance tracks so you can hear what it's supposed to sound like before you play it yourself.